I don’t know about you, but I love a good bargain. If I’m paying less than the asking price for a particukar item, then I’m happier than a pig in filth to be honest. 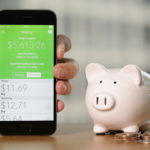 Here are my favourite apps for hunting down those bargains, and of course, they’re all free. PriceSpy The PriceSpy app is the ultimate price comparison and bargain hunting tool that monitors international markets, including Ireland. 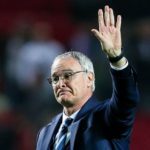 There’s a real-time search, so you can hunt down the best priced product..
Claudio Ranieri’s Replacement – Who Want’s It? Every now and then, something happens that makes us believe in the beautiful game again. In a world where football seems to be dominated by boardrooms, sponsorship deals and stupidly rich absentee owners, once in a while something happens that makes us hark back to a simpler time. A more innocent, and purer time. When money didn’t matter and football was about community. A time that maybe never existed like we remember it, in truth. Last year, we allowed ourselves to be brought on a journey. 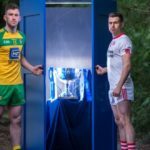 W..
Can an Ulster Team Win the 2017 Allianz Football League? After three weeks, the Allianz National Football Leagues have been living up to their expectations as the least predictable, most entertaining part of the GAA Football calendar. Every week there seems to be a surprise upset and teams are performing above expectations around the country. Even Dublin aren’t coasting through games like they usually do. It’s refreshing to see. Ulster teams are at the forefront of this discussion, as we gauge what chances each team has to win their respective div..
Are you looking to try out something new that will help your mind and body? It’s time to consider Yoga and Pilates. Here’s why… Pilates and Yoga cater to all ages young and old so do not let your age influence your decision to begin Pilates and or Yoga, there is literally no harm in giving it a go! Because of its huge popularity, Yoga and Pilates are becoming a major part of people’s lives, so don’t be afraid or nervous if you’re heading to your first ever class. Remember That Yoga I.. 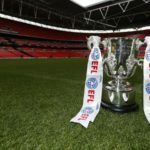 The EFL League Cup – Is There Any Point? The EFL League Cup, formerly known as the Carling Cup or Capital One Cup to most people, reaches its exciting conclusion on February 26th (4.30pm, Sky Sports) when Southampton and Manchester United face-off in Wembley Stadium. In recent years, this trophy has been won by English club powerhouses such as Manchester City, Chelsea, Liverpool, and ahem, Swansea City and Birmingham City… but this year plans to be a cracker. Who’s In the 2017 Final? Southampton Southampton have been baffling i.. 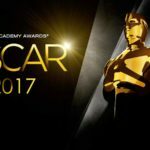 The 2017 Oscars – What Can We Expect? The 2017 Academy Awards will broadcast live at 8pm EST this Sunday, the 26th of February, from the Dolby Theatre in LA. There are plenty of places to stream the show online, but for the Irish film fans who have better things to be doing at 2am, it might be handier to simply tune in to RTÉ2 on Monday night for the highlights. The line-up for the award show is extraordinary this year with funnyman Jimmy Kimmel on host duties for the first time. It is likely to be a serious competition but who has..
You just can’t beat the UFC when it comes to drama. I mean, sometimes the whole spectacle reminds me of my early teens, staying up late, watching Monday Night Raw while swilling a can of Fosters down my gullet (I was mature for my age). Boy, the UFC fans sure are excited about the return of Georges St-Pierre, and sure why wouldn’t they be? The Canadian’s often included in the ‘greatest fighters of all time’ discussion, and with the sport’s popularity hitting never seen before heights.. Living in a shared house can be a great experience for you. That is, if you find a way to live in harmony with your house mates. We’ve all heard of stories which have had house share tension and fights. After all, it’s a big change from living with your family who you know and who know you. If you want to avoid mishaps and arguments, follow these 10 steps. They’re sure to help but we can’t guarantee there won’t be a few pots and pans flying. 1. 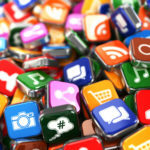 Do Your Own Dishes If you do ..
Apps are great at distracting you from your mundane daily commute, however the problem is that most of them have no longevity whatsoever, which leads to them being completely forgotten about or just deleted altogether. So, we at The Sharpe, have put a definitive list of apps together that’ll provide you with some great listening, reading and entertainment for that commute of yours. 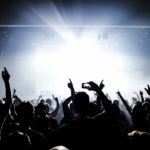 Spotify Music is essential for any journey whether you blast it in your car or stick in your headphones to.. When it comes to the world of modern music, we certainly aren’t short of a diverse selection of tunes. Yet in terms of supporting Irish talent representing our own tiny nation, our selection is stripped back to say the least. Ireland does however produce some seriously world-class bands. This year we have some great newcomers to look forward to and fresh suggestions for Irish bands whose gigs you need to go and see! 5) Young Earth If four young lads from Dublin with a flair for indie-pop appea..